Do they just want to relax on a beach with a drink in their hand or do they want to explore their destination and do some activities and sightseeing? If they do want activities, what interests them the most? Do they want a boutique resort or a larger resort with lots of amenities? What amenities are the most important? Are they foodies? Will they be OK eating at a buffet for dinner or do they only want sit down dinners? Do they like to eat at the resort or try out different restaurants? Do they want to try local cuisine? Do they want to be in a more centrally located property or do they want something off the beaten path? We ask them to describe their dream destination, dream room and what they want to see when they open the curtains. Are they interested in some romantic extras like a beach front dinner, couples massage, sunset cruise or a honeymoon package? What’s most important to you when it comes to your honeymoon? My Vacation Lady can help guide you to the destinations and resorts that might fit your dreams and budget best. Contact us to schedule your honeymoon consultation. 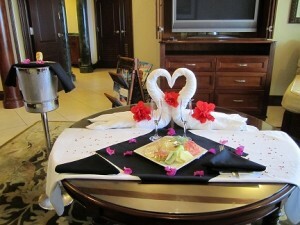 My Vacation Lady is the highest rated honeymoon specialist located in New Jersey on both Wedding Wire and the Knot. We won’t be the first to tell you that your honeymoon should be special, but we are the right honeymoon specialists to make it special!